Halloween 4. . HD Wallpaper and background images in the Michael Myers club tagged: halloween michael myers horror movies michael rocks. 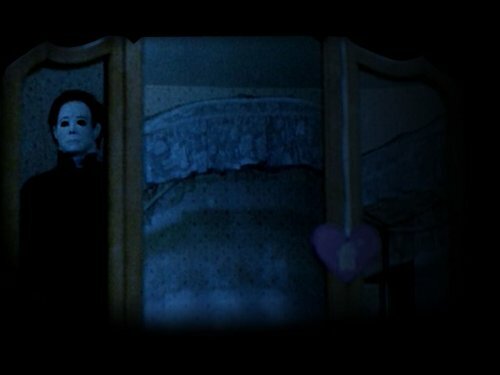 This Michael Myers wallpaper contains upuan sa tabi ng bintana. There might also be salas, salas, salas, front room, parlor, parlor, silid guhitan, and hawak cell.